What does distinguish server memory ECC RAM? Why do you need ECC memory? 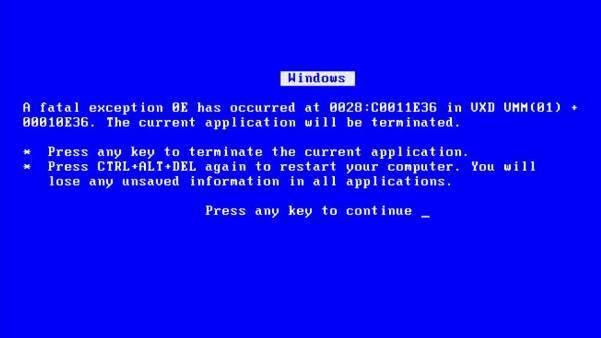 Everybody knows the famous “blue screen of death”. This is the consequence of errors in RAM, which occur from time to time. They appear spontaneously and unexpectedly. The main reason – electromagnetic interferences from other parts of computer/server. Though, it is impossible to foresee errors, it is possible to say accurately – they will definitely occur. The longer system is processing – the more possibility of errors is. Some time ago Google published material about researches regarding errors in RAM: «DRAM Errors in the Wild: A Large-Scale Field Study». 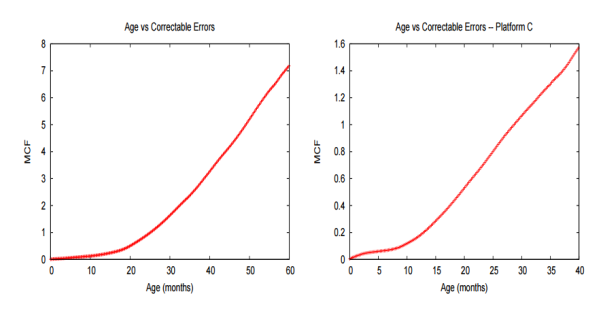 Referring to this research the rate of error occurrence in the memory module increases proportional to the age of RAM module. In other words, the older memory module is – the more errors occur in it. When such a mistake occurs at your home – it, as a rule, doesn’t cause big problems. First of all, your personal computer, you regularly switch off, when you leave home, that interrupts the process of “ageing” of memory modules till the next switching it on. Secondly, everyday switching off of home PC is a some kind of preventive remedy against failures. And thirdly, even if the failure happens, in view of above mentioned reasons, it occurs very rarely and it is enough just to reload your computer, to make it work again. The situation is different with servers. Servers work in the mode 24x7x365, that leads to gathering of potential possibilities of failures in memory and inevitably for 100%, errors will occur in the memory. That cause unplanned and uncorrect reloading of the system, that may lead to more serious failures in the file system, in database tables and in other critical places. In order to make the server work with no reloading, the special memory for servers was worked out – the memory of the type ECC RAM (Error Correction Code). As you may see on the picture above, ECC RAM even visually differs from the standard memory. The module of the memory ECC RAM has additional, the 9th chip, which is used to correct errors. That is why ECC memory is more expensive. The additional chip has its price, but it is also critically important for the distance server systems, because it helps to work server in non-stop mode. Nowadays, in servers only ECC RAM is used. 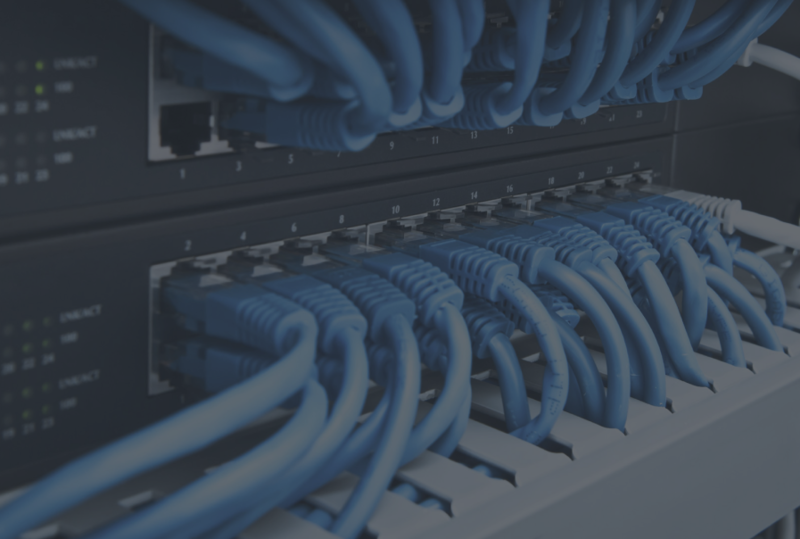 If you got an offer of a cheap server and you have doubts to take it or not – clarify with a service provider, what kind of memory is installed in the server. If there is no ECC memory in a server – it is not a server. Under the pretense of server ordinary desktop is trying to be sold. And with 100% evidence it is possible to say that it will cause not one sleepless night to you. Depending on the task , for which server is required and on what kind of OP you use, long hours of “fascinating” sessions are waiting for you in the company of different recovery utilities: fsck, MYSQL REPAIR TABLE and many other permanent companions of cheap servers. 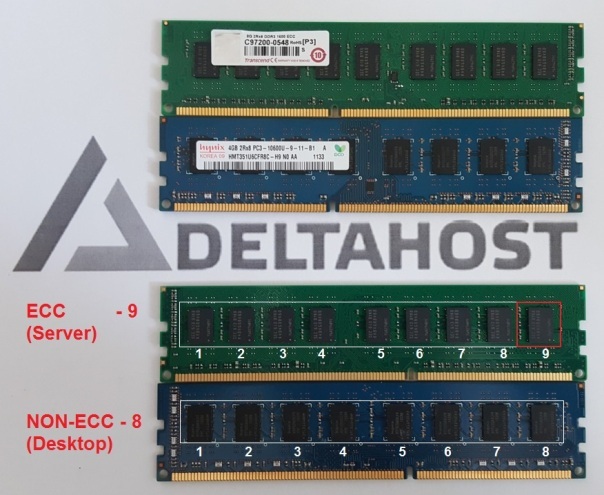 If you need a reliable dedicated server, which can have uptime for years without a single reboot – contact us at deltahost.com - absolutely all our servers are equipped only with ECC RAM.